Peace Development Fund | The Peace Development Fund works to build the capacity of community-based organizations through grants, training, and other resources as partners in human rights and social justice movements. Join us for a PeaceTalk at the PDF Center for Peace and Justice, featuring activists from PDF-funded organizations. 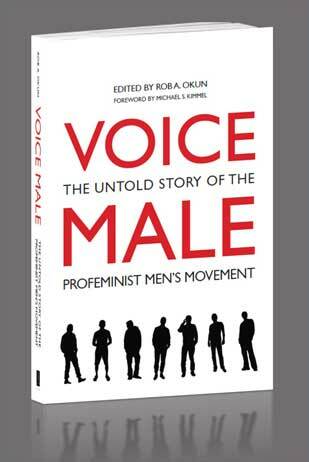 Rob Okun, editor of Voice Male: The Untold Story of the Profeminist Men’s Movement, and Sara Elinoff Acker will discuss men’s role in redefining masculinity in order to work towards gender equality. Longtime colleagues and friends, Sara and Rob worked together for a decade and a half at the pioneering Men’s Resource Center for Change. Taken together, Sara Elinoff Acker’s Unclenching Our Fists: Abusive Men on the Journey to Nonviolence and Rob Okun’s Voice Male: The Untold Story of the Profeminist Men’s Movement, serve as an introduction to the world of “changing men.” Both books take an honest look at contemporary masculinity—from “abusive men on the road to nonviolence” to “one of the most important social justice movements you’ve never heard of”—the profeminist men’s movement. The result? An unparalleled journey into a world of possibility where men are finding their hearts and building new lives. Voice Male: The Untold Story of the Profeminist Men’s Movement takes you inside one of the most important social justice movements you may never have heard of—the social transformation of masculinity. Although it’s been underway since the late 1970s, it still largely remains under the radar of much of society. Thematically arranged essays by leading experts and moving first-person stories illustrate how a growing movement of changing men has discovered in feminism the basis for redefining masculinity and creating healthier lives. The longtime editor of Voice Male magazine, Rob introduces audiences to men examining contemporary manhood from a variety of perspectives—from boys on the journey to manhood to men overcoming violence; from fatherhood and mentoring to navigating life as a man of color; as a gay man, and as a survivor. The voices of a chorus of women can also be heard in the book’s pages. Long recognized for articulating a hopeful vision of the future of men, Okun sensitively presents a vivid portrait sure to be welcomed by a wide audience interested to learn what is happening with men. His many years as a gender justice activist have not just deepened his skill as a chronicler of the profeminist men’s movement, but also have helped to strengthen his voice as a spokesperson articulating men’s second act. Voice Male offers compelling evidence of a new direction for men and illuminates what’s around the bend on the path to gender justice.